No one should be surprised that the first Magic Leap Mixed Reality event would open in its own unique way. The L.E.A.P. conference, or LEAPcon, didn’t follow the usual pattern of Oculus Connect or other polished product unveilings (which sometimes work more like extended promos). With the long delays in getting a product out the door, there was a lot riding on this. And Magic Leap offered a heady mix of idealism and fun for developers ready to take the plunge. At least this time, we actually have a headset and new Mixed Reality experiences to try out. 16 in all, which ranged from fantasy to theater, medical visualization, CAD design, and entertainment. More on those later. We believe we are witnessing the birth of a new medium. We’re starting with a blank slate. We are free of the baggage that saddles traditional media. . . . We’ll create an ecosystem that is vibrant, future-forward, and culturally relevant. This exquisitely audacious mission is the primary reason why I joined Magic Leap. We at Magic Leap not only celebrate doing things differently, but we want our platform to be a sanctuary, for the unique, the unconventional, the bold, and the brave. Some of the language seemed lifted straight out of 60’s counter-culture, other parts echoed the Steve Jobs you’ve-never-seen-anything-like-this-before approach. So, first the news and we’ll follow up later with some of the Magic Leap Mixed Reality experiences. If you’re interested, the more than three-hour video of today’s live stream is available below (we’ll see if we can get some timestamps for the main sections). Are you ready to hang out in the blazing desert sun with exhausted developers? We told you this was going to be different. Magic Leap avatar chat arrives in November. 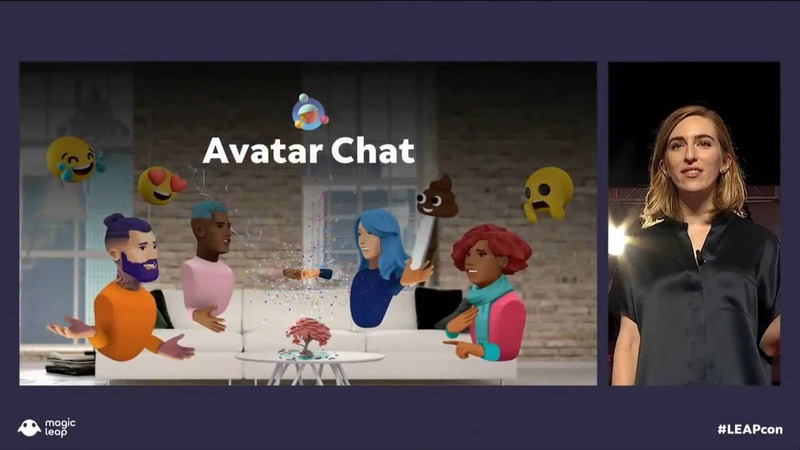 Magic Leap will also launch Avatar chat, a multi-user chat room with personalizable avatars, in November. Everyone is jumping into this space – it was also highlighted at Oculus Connect – which only hints at how profoundly online learning and professional development will change once Mixed Reality platforms are ubiquitous. Executives like Magic Leap CEO Rony Abovitz also used the event to give some clues about the company’s farther-reaching plans. One of the more notable tidbits was that Magic Leap wants to build city-wide AR information layers. ‘Think of the city having a form of sentience and awareness,’ Abovitz said. Apparently, some of that work has already begun behind closed doors. ‘There are actually city-scale projects that we are engaged in as a company,’ he said. This is, of course, exactly what Augmented and Mixed Reality will need to do. Spatial computing needs an environment that extends beyond our homes, schools, and places of work. It’s the engagement with information and digital realities out on the street that will make these devices compelling. No one leaves their Smartphone at the office and if Mixed Reality HMDs are to be successful, they need to be as important in our personal lives as they are for the workplace or education. Magic Leap AI with gaze tracking was announced. Last but not least, we’re getting another AI Assistant in our lives – and this one will come with gaze-tracking. 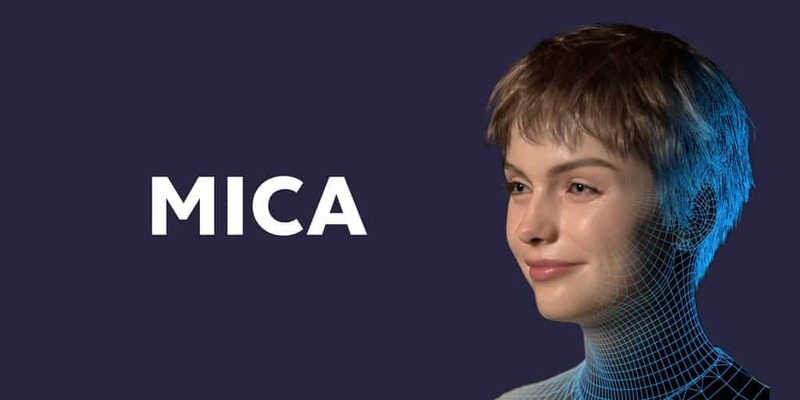 Named “Mica”, she doesn’t talk yet (though that’s coming) and is powered by Unreal Engine 4. Think of it as Amazon Alexa or Google Home embodied in a digital human form. Undoubtedly, this is the direction that immersive technology is headed (though it’s a little early now, even for Magic Leap). Gaze-tracking raises a host of possibilities for truly responsive AI. But let’s not get carried away – it will equally open a Pandora’s Box of ethical issues. If you think Facebook presents a problem with the co-opting and commercializing of your social life, you haven’t seen anything yet. We’ll circle back to this issue soon. For now, we’re eager to see Magic Leap deliver on its promises. The idealism may be a stretch (we overdosed on that in the early days of social media). But the transformation of our lives and physical environments through spatial computing is a reality lurking right around the next corner.